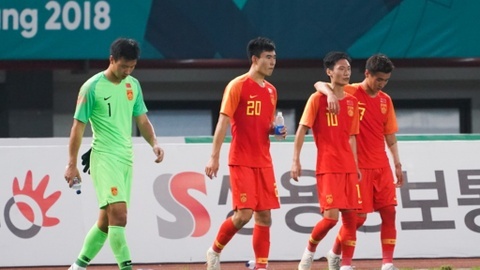 Chinese public opinion is expressing outrage at the strategy to improve the country’s young players in a strange way of the Chinese Football Federation. October 2 was described by Chinese netizens as the end of the country after the Chinese Football Federation convened 55 players under 25 years of age playing in the highest Chinese League and China League One, after That focus on the training area is like military barracks. At this point, the players have to concentrate until December, so they will miss the last six rounds of the Chinese Super League and many faces will be absent from the National Cup final. Some sources said that the group of players brought into the barracks will be trained according to military rules. There are also rumors that 55 players under the age of 25 will be summoned and sent to the barracks to be incorporated into a separate team, then compete in the next season. 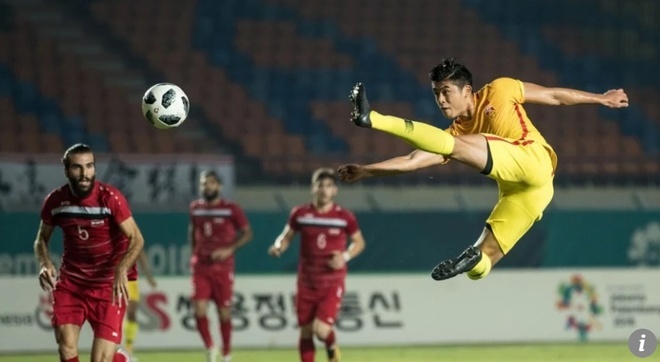 This move to improve the quality of Chinese youth football, which failed from the 2018 Asian U23 tournament to ASIAD 2018. Some also see a list of 55 Chinese players summoned to the camp as Marcelo Lippi’s “second team” is leading the national team. I don’t know how effective the Chinese Football Federation is, but from now on, the online community is opposing this idea. So, Chinese media also put a big question on how the Federation works. The Beijing Evening News called the action “truly unprecedented in history”. Meanwhile, the chairman of some teams with players who were sent to the barracks also expressed their discontent. “I believe the roots of Chinese football problems are still in the management system. The only way for Chinese football to develop is to change the existing management system,” Chairman Zhou Jinhui of Beijing Club. Guoan criticized the Chinese Football Federation’s plan. Last time, Chinese football constantly reformed to raise the level of football development. They introduced many new laws to be applied in the domestic league to increase the chances of playing for U23 players, including Guus Hiddink, one of the outstanding strategists of the world football, leading the youth team. Last year, British media reported that the Chinese Football Federation has made great efforts to invest in young football training. They built many modern academies in the hope of producing talented players. China wants to “turn dragons” in the future, thus becoming the world’s superpower football. However, Soccer News journalist Bai Guohua still feels pessimistic. He thinks Chinese football is still far behind the giants in the continent. Previously, the Chinese team was only once reached the World Cup finals. It was a tournament that took place in 2002.